When I started writing this article, I knew what I thought makes a good teacher, but I couldn’t help but wonder if other people agreed with me. 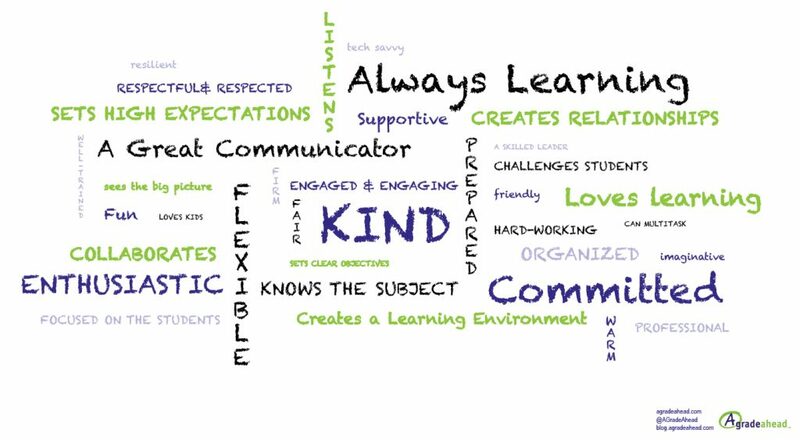 Are there universal characteristics of a good teacher, or does everyone disagree? Most of those are related, right? That’s one reason there’s so much overlap. The other reason is that being a good teacher is complicated – it’s not as simple as showing up for work every day. So the only way to really list the characteristics are to simplify it a little and summarize. 1. Good Teachers Put in Time and Effort. This aspect is essential to being a good teacher. Teachers that only work during the school day and give as little additional effort as possible aren’t the teachers that reach this bar. They are committed to their job. 2. They Never Stop Learning. Teaching is not a static job. The lessons that worked last year may not work this year. A visual lesson may not work for an auditory learner. Different classes may struggle with different topics. To reach every student, to offer every opportunity for success – that’s what a good teacher wants and strives to do. Whether it means searching the library and internet for new ideas, collaborating with other teachers, or simply talking to their students. And they will teach themselves new methods to accomplish that. 3. Good Teachers Own Their Mistakes. All teachers make mistakes. Good teachers acknowledge their mistakes and move on, teaching their students 1. not to hide mistakes and 2. that fixing the mistake is more important than getting upset. Making mistakes is how you learn. Hiding mistakes is how you lose a student’s trust. And teach them to get upset about making mistakes. 4. They Believe in Their Students. Being strict and having high standards aren’t enough to make a student excel. In fact, combine them with a negative attitude towards a student’s chance of success, and they can have the opposite effect. The best teachers set high standards for their classes not because of legal requirements or job security but because they can believe the students can reach those standards. And will benefit from doing so. These teachers are supportive but won’t compromise quality because they want the students to learn and believe that they can. Honestly, every other characteristic flows out of this one. Teachers become good at teaching because they care. A teacher’s enthusiasm, kindness, compassion, effort, knowledge, and discipline (everything they put energy into) all flow from the fact that they care about the people they teach as well as what they teach. That’s why they listen and communicate well. That’s why they create relationships with their students and parents. That’s why they organize and prep and work to create exciting lessons. That’s what pushes them and makes them become a teacher worth having. Think back to every good teacher you’ve had. Isn’t this true?